England scored 17 unanswered second-half points to beat Wales 27-13 at Twickenham on Sunday. A below par kicking display from fly-half George Ford was not enough to stop England from easing to victory as they outscored their opponents five tries to one. Ford missed all but one of his seven kicks at goal in a forgettable performance from the tee. Wales were well poised when they went into the break 13-10 ahead after two shots at goal from Dan Biggar and a converted Rob Evans try, but were unable to fire after the break. England's first-half scores were provided by Luther Burrell and Anthony Watson, while Ben Youngs, Jack Clifford and Marland Yarde all crossed in the second half. 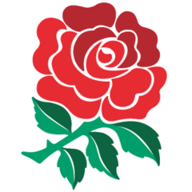 The win ensures England travel to Australia high on confidence while Wales are left to collect their thoughts after losing to an England side missing first-choice players who were on Premiership final duty on Saturday. England started the game the more threatening of the two, but it was Wales who were first on the scoreboard. Jamie Roberts ran a good line off a lineout to break the first wave of defence. A quick ball through the phases then saw several forwards gain inches before Evans crashed over for Wales' only try which Biggar converted. The visitors then went 10 points ahead when England were penalised close to their line and Biggar made no mistake with his shot at goal. George Ford missed a chance to reduce the deficit by three points when he sent his first shot at goal to the right of the posts at the end of the first quarter, but Burrell made up for it with his side's first try of the day. The centre received a short pass from Ben Youngs close to the line and put his head down to break an attempted tackle before stretching and placing the ball on the tryline. Ford missed the conversion, and to make matters worse his opposite number sent a second penalty through the uprights for a 13-5 lead, but England were able to hit back before the break. An overlap on the left was exploited by Jonathan Joseph who drew the final defender before releasing Anthony Watson down the touchline. Watson was tackled short of the line but scrambled to dot down despite attention from the arriving cover defence. Ford was unable to bring his side within a point when he sent the conversion attempt wide. Wales had one more chance to score before half-time when they set up an attacking lineout in front of the England line, but the home forwards were able to steal the ball at the maul to end the threat, giving Wales a 13-10 lead at the break. England got off to the ideal start in the second half when Youngs dummied the defence off a lineout before diving over the line, handing England the lead for the first time in the game five minutes after the break. 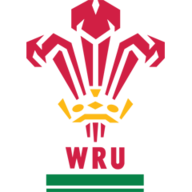 Ford missed his third conversion attempt but was given an easy fourth attempt when Clifford picked up a loose ball after a stray Wales pass to race to the line untouched. The Welsh protested that Dan Cole had knocked the ball on in the build-up, but after deliberation with the TMO the referee awarded the try. The successful conversion made it 22-13 to England. The home side furthered the lead by five when Yarde received a pass from Courtney Lawes on the right touchline, with Ford hitting the upright with the resulting kick. The England fly-half then missed another kick when Wales were penalised and Dylan Hartley pointed to the posts, but England were able to see out any further Welsh attacks to come away 27-13 victors.